As a licensed roofing contractor, call us for all your roofing needs! 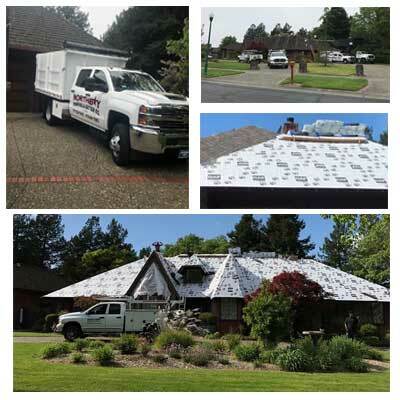 Whether composition shingles, TPO roofing, or flat roofing. We repair and more! Roofing since 1999, we are a family-owned business specializing in installing and repairing roofs and gutters. Yes, we do both roofing and gutters. Our long-term success depends entirely on recommendations from our loyal customers. Our long-term success depends entirely on recommendations from our loyal customers, check out our reviews on Yelp! That's why we ensure the best quality gutter and roofing repair in Sonoma and Marin we make sure to do the job right the first time. We use only top-of-the-line roofing and gutter materials. We stand behind the quality of our installations 100% and our customers will say the same. You will find our prices fair and affordable, especially when compared to other roofing and gutter contractors in Sonoma and Marin counties. If you are looking for quality, then buying local is your best bet. Roofing contractor tip: It is smart to protect your roof and gutter investments with regular maintenance. We do it all at Northbay Roofing & Gutters, from roof inspections, repairs, roof replacements, and maintenances. We also do gutter installations, cleaning, maintenances and repairs. We offer all four of GAF's distinct lines of premium/weather rated shingles, all of which are guaranteed to have the quality you want and the protection you need. REGULAR AND ROUTINE ROOF INSPECTIONS HELP PROLONG THE LIFE OF YOUR ROOF. A NORTHBAY MAINTENANCE PROGRAM YOU CAN FIND A SMALL PROBLEM BEFORE IT BECOMES A BIG PROBLEM. We specialize in storm damage and repairs related to storm damage. If you've had a storm recently and noticed missing shingles, call today. We'll inspect your roof for potential leaks and issues BEFORE they become a problem.